Cheltenham Motorcycles are Honda and Kawasaki specialists with the expertise to service most other major makes of motorcycles to factory standards, offering anything from a winter safety check to a valve clearance service, pre-MoT checks and MoT’s*. 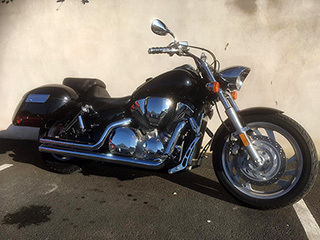 Cheltenham Motorcycles can also arrange collection / delivery of your motorcycle within the local area for that extra bit of convenience and peace of mind - please enquire at the time of booking your service. All of our servicing includes a schedule of items checked or adjusted etc for your records. PLEASE NOTE - always call to make an appointment to avoid any disappointment, as there are times when the showroom is unattended.